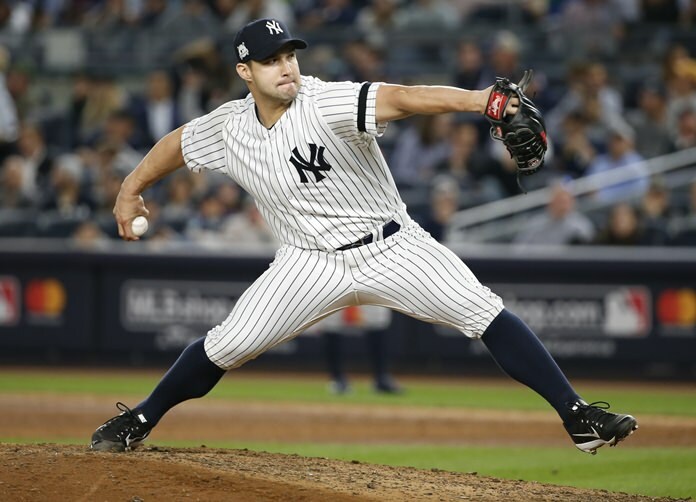 New York (AP) – Masahiro Tanaka pitched seven innings of three-hit ball and the New York Yankees finally solved Houston Astros nemesis Dallas Keuchel, beating the ace lefty 5-0 on Wednesday for a 3-2 lead in the AL Championship Series. New York finally broke through against Keuchel with two outs in the second, when Starlin Castro doubled to deep left-center and scored on Greg Bird’s sharp single. Cheering fans almost sounded surprised by the hit — big enough for Bird to flash both thumbs down, doubling up on the Yankees’ playful sign to each other for clutch swings.